On 17th March, we will have a guest presentation by Dr Jon Hill (University of York) on submarine landslides and tsunamis. 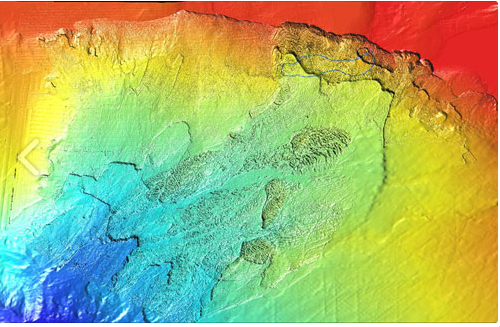 Numerical modelling of palaeotsunamis requires a cross-disciplinary approach incorporating new software development, sea-level change dynamics, tectonics, fluid dynamics, sedimentology and even archeology. There is a huge potential for this field to make a significant contribution to tsunami hazard assessment by recreating and understanding past events. Dr Jon Hill will present some of the new numerical technology available for research in this field and detail the challenges that remain. Simulations of the Storegga slide tsunami using palaeobathymetry, where relative sea-level changes have been accounted for, show a significant effect in some regions for the maximum predicted height. The palaeobathymetry also affects the comparison of estimated run-up when comparing to wave height estimates from sedimentary records. These simulations can be extended to include inundation of the wave, even on now submerged landscapes, such as Doggerland in the UK North Sea, which show that the island may not have been completely inundated as previously thought. On the generation side, landslide-generated tsunami remains a challenge in the modern and in the past. Dr Jon Hill will demonstrate a new multi-material slide model and compare the wave generated by this novel method to the current state-of-the-art sold block model. Finally, future avenues of research to improve the understanding of palaeotsunamis are explored.